Custom chinks, Wade saddles, and flat brimmed hats that will have you prepared for life on the range. Although buckaroo can be called a style by those unfamiliar with its history steeped traditions, it is way more a horsemen’s culture. The word buckaroo is in fact an Americanized version of Vaquero, the Spanish term for a man who manages cattle or “vaca.” In Spanish the “V” is pronounced “B,” and when used conversely between the abundant Spanish and Mexican VAQUEROS that established the style and custom of working cattle in California, many yearS ago, the term “buckaroo” gained its foothold. Today’s buckaroo has a distinct look. A-fork saddles, rawhide reatas, horse hair mecates and slobber straps, bosals, romal reins, and of course the flat hats, fringed chinks and a tradition of fancy silver displays adoring their gear, make this rich cultural tradition infinitely unique. 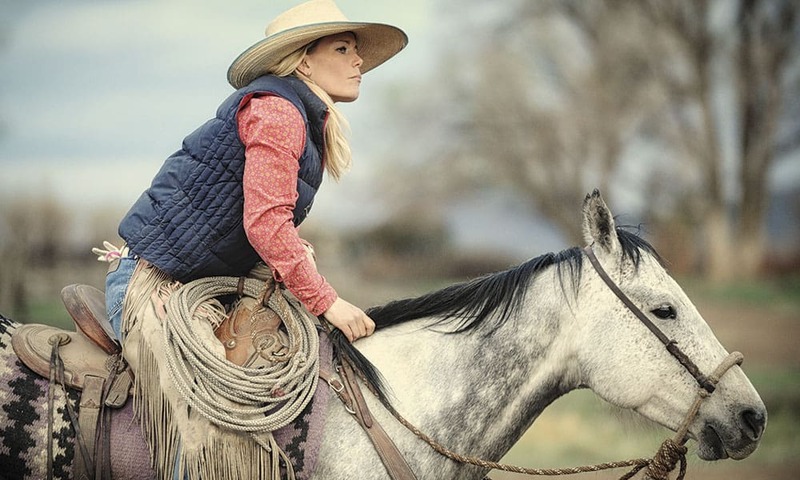 You don’t have to be born into the tradition to make it part of your horsemanship experience, but you will need to study and learn the unique techniques and style of this wonderful culture that will bring you ever so closer to your horse.